Carswell AFB was one of the first Strategic Air Command bases, hosting B-29, B-36, B-58 and B-52 bombers from the 7th Bomb Wing, which maintained a longstanding vigil during the Cold War. Carswell AFB was also one of the sites of the James Stewart classic movie Strategic Air Command. 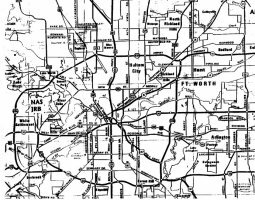 Now known as Naval Air Station Fort Worth Joint Reserve Base, Carswell AFB was originally known as Tarrant Field Airdrome which was established as a military installation in 1942 for flight training and heavy bomber operations. 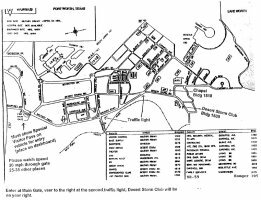 In 1946, the Strategic Air Command (SAC) assumed control of the installation, and the base became headquarters for the 8th Air Force. The base was renamed Carswell Air Force Base (AFB) in 1948 in honor of a Fort Worth native, Major Horace S. Carswell. While returning from a bombing strike against a Japanese convoy, the 1939 graduate of Texas Christian University continued to fly his severely damaged B-24, enabling his crew to jump from the bomber. This unselfish act cost Carswell his life. He was posthumously awarded the Medal of Honor for this extraordinary act of heroism. Headquarters, 19th Air Division, was located at Carswell AFB from 1951 to 1988. 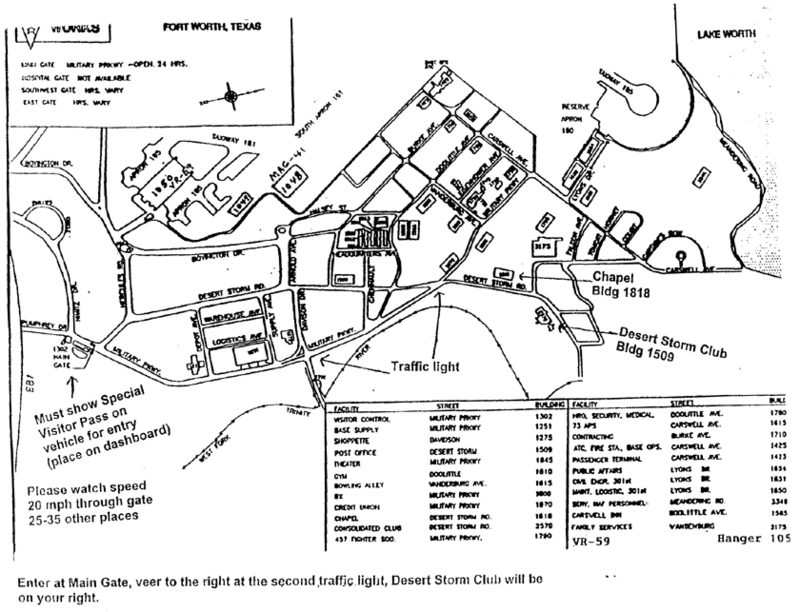 In the late 1950s, base renovations included the extension of a runway and the addition of an off-site weapons storage area, office space, warehouses, and a fuel hydrant system. Construction through the 1970s created new dormitories, engine test cells, base exchange services, and other amenities. In the 1980s, a hospital, maintenance facilities, offices, and a munitions assembly shop were added. Other properties that supported the base consisted of the off-site weapons storage area (WSA) and Kings Branch, the residential parcel. Kings Branch is located off base just outside the base perimeter to the southeast of the main gate and consists of 44 acres. The 247-acre off-site WSA is located off White Settlement Road, 5 miles to the west of the base. A neighbor to the west of the base is Air Force Plant 4 (AFP 4), a government-owned/contractor-operated facility where combat aircraft are designed and manufactured. Carswell AFB was selected for closure under the Defense Base Closure and Realignment Act of 1990 during Round II Base Closure Commission deliberations. As part of the Department of Defense's 1991 consolidation efforts, the decision was made to relocate the 7th Bomb Wing from Carswell AFB. During a 1992 Air Force-wide reorganization, the famed Strategic Air Command was officially disestablished. First-stage closure activities were initiated in 1992; all aircraft were relocated to Barksdale AFB by January 1993. The B-52 Stratofortress was the last bomber to leave Naval Air Station JRB Fort Worth (then Carswell AFB) in 1993. The base ceased operations on September 30, 1993, and was transferred to the Air Force Base Conversion Agency (AFBCA) for property distribution and reuse. On October 1, 1993, the Air Force Reserve 301st Fighter Wing assumed base responsibilities, establishing Carswell as an Air Reserve Base. In 1993, Congress directed the establishment of the nation's first joint reserve base under the Base Realignment and Closure authority. The base was realigned and renamed the Naval Air Station Fort Worth Joint Reserve Base, Carswell Field (NAS Fort Worth JRB) on October 1, 1994, when the U.S. Navy assumed control of the property. The mission of Naval Air Station Joint Reserve Base Fort Worth is to provide a high quality training environment for active and Reserve components of all branches of the Armed Services, carrying out the Goldwater-Nichols Defense Reorganization Act of 1986 to improve the operability among all four military services; to reduce redundancy and overhead by developing joint doctrine and operate the procedures that create seamless functionality amongst host and tenant commands in base support and community service programs. NAS JRB Fort Worth was officially established on October 1, 1994, as the first joint-service reserve base. 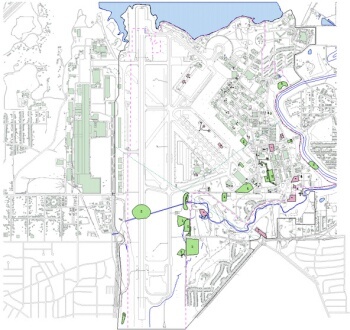 The 1,805-acre base is the result of the DoD's 1993 BRAC recommendation to relocate NAS Dallas and its tenant commands to the former Carswell AFB. 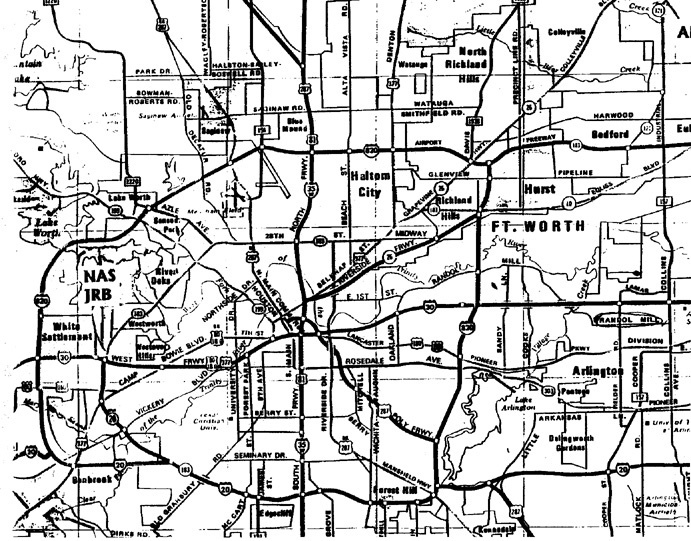 Additional tenant commands from other closing installations were also directed to relocate to NAS JRB Fort Worth, such as U.S. Marine Corps Reserve squadrons from Memphis, Tenn., and Glenview, Ill., in July/August 1994. The 1993 BRAC proceedings also placed the Navy as the host of what has become a new joint military reserve base - a model for future consolidations. Construction at NAS Fort Worth Joint Reserve Base, Texas, continued in 1998, with completion and transfer of all scheduled units from NAS Dallas to NAS Fort Worth by early 1999. The mission of Naval Air Station Joint Reserve Base Fort Worth is to provide a high quality training environment for active and Reserve components of all branches of the Armed Services, carrying out the Goldwater-Nichols Defense Reorganization Act of 1986 to improve the operability among all four military services; to reduce redundancy and overhead by developing joint doctrine and operate the procedures that create seamless functionality amongst host and tenant commands in base support and community service programs. The city hosts 5 universities and colleges, a respected museum district, a large zoo, an annual livestock show, and extensive aerospace activities with large airplane, aircraft parts, and helicopter manufacturing plants. It is the center for north central Texas' agri-business, and the home of a large retired military community, mostly former Air Force personnel who utilize the Carswell AFB facilities.